Celebrate Aspen's 15-Year Anniversary with 25-cent Primer issues! 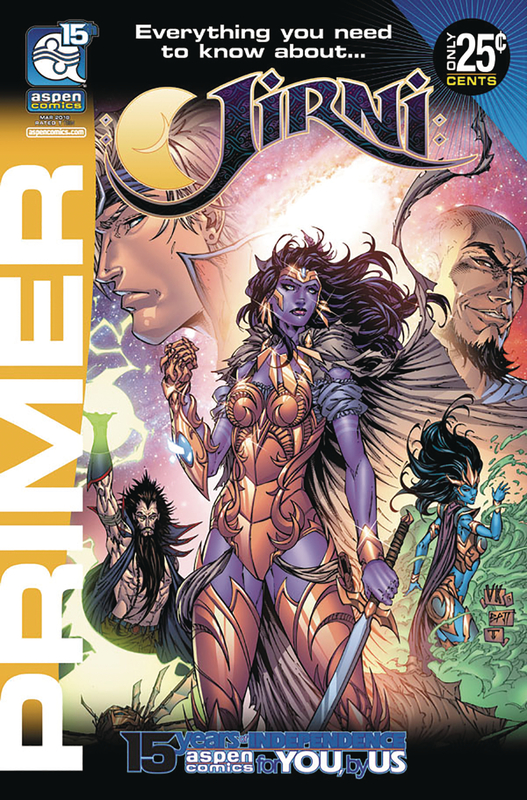 New readers and fans alike can find everything they need to know about Jirni in this debut Jirni Primer issue! Return to the epic quest within volumes one and two, never-before-seen commentary, art and creator secrets? All for only a quarter! These Aspen Anniversary edition primer issues are the perfect compliment to discover more about Aspen's upcoming slate of new and returning titles!